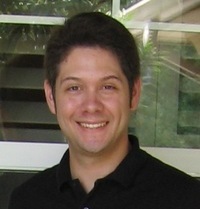 Rafael Chandler writes novels (The Astounding Antagonists, Hexcommunicated), video games (SOCOM 4, Rainbow Six: Lockdown), and tabletop role-playing games (ViewScream, Pandemonio). He's a metalhead, kaijuphile, gamer, and gorehound. "Yes, their arachnid god might strike us as evil, but the Moche revered spiders, because spiders devour the insects that harm crops." I wrote a guest post for Cover to Cover. In it, I talk about my new novel, my Peruvian ancestors, and a particular spider-god. We’d love your help. Let us know what’s wrong with this preview of Mask Beneath Her Face by Rafael Chandler. We’d love your help. Let us know what’s wrong with this preview of World War Z by Max Brooks. We’d love your help. Let us know what’s wrong with this preview of The Alienist by Caleb Carr. We’d love your help. Let us know what’s wrong with this preview of The Ridge by Michael Koryta. We’d love your help. Let us know what’s wrong with this preview of The Friends of Eddie Coyle by George V. Higgins. We’d love your help. Let us know what’s wrong with this preview of The Damnation Game by Clive Barker.